The OSCE mission in Ukraine has found that the deadly shelling blamed for the killing of 12 bus passengers in Donbass came from a different direction than initially thought. 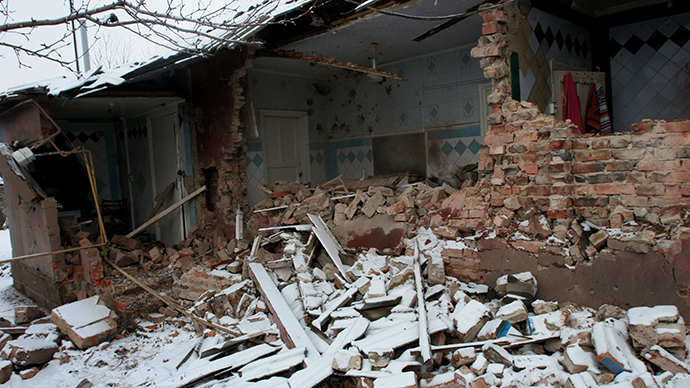 Both Kiev forces and militia control territories in the northeastern direction. The comprehensive examination of the accident site on Saturday focused on five craters caused by the explosions. “The investigation included comprehensive crater analysis of two specific blast craters, including the crater located 10 meters from the side of the passenger bus. In the SMM’s assessment all craters examined were caused by rockets fired from a north-north-eastern direction,” OSCE reported. The observers stopped short of identifying the type of rockets used, or pointing fingers at any party of the conflict. 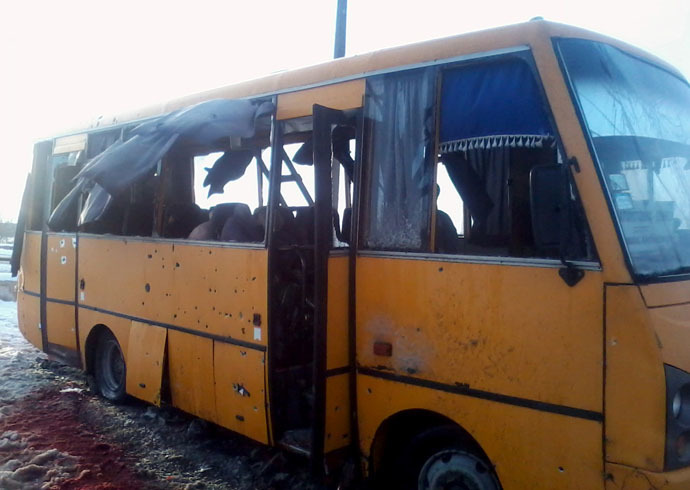 In its first report, the SMM cited Ukrainian officials as “confirming” that it was a “Grad rocket” that struck near the bus, although some experts still believe the damage to the bus is also consistent with a landmine explosion. 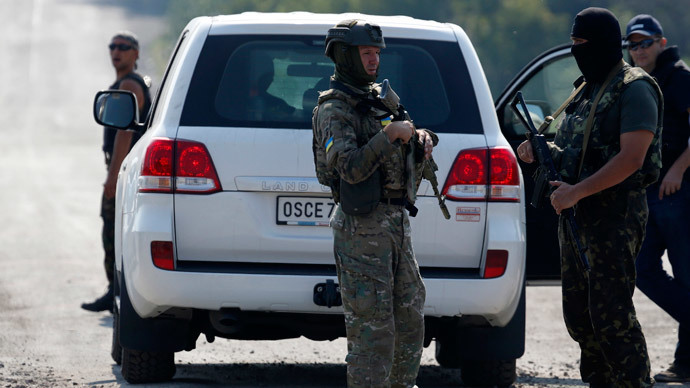 Russia’s permanent representative to the OSCE, Andrey Kelin, said the new findings contradict initial statements from Kiev, which, following the tragic incident, swiftly blamed Donetsk militia of carrying out the attack. Donetsk Republic have rebuked the accusations, calling it a provocation by Kiev to justify a new round of mobilization. Kiev’s narrative was quickly backed by Washington, with the US State Department immediately drawing conclusions and accusing eastern Ukrainian forces. 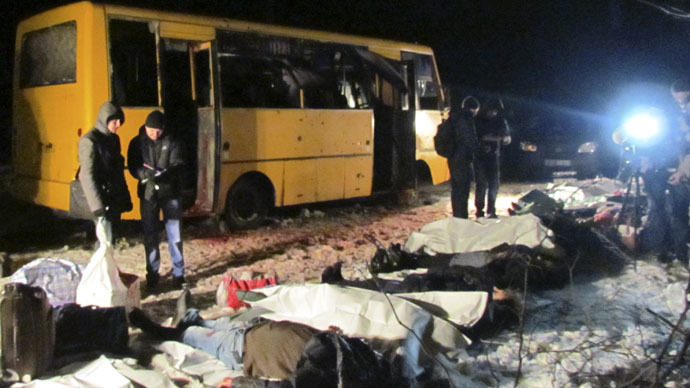 The bus shelling became “the latest egregious violation of the commitments made by the Russia-backed separatists,” State Department spokesperson Marie Harf said. The OSCE announced it will continue to monitor the situation and gather evidence in parallel with an investigation launched by the Joint Centre for Control & Coordination (JCCC) and representatives of Eastern Ukraine. At the same time, Kiev and the Donetsk Prosecutor’s Office have launched separate investigation into the shelling, which is being labeled a terrorist act.